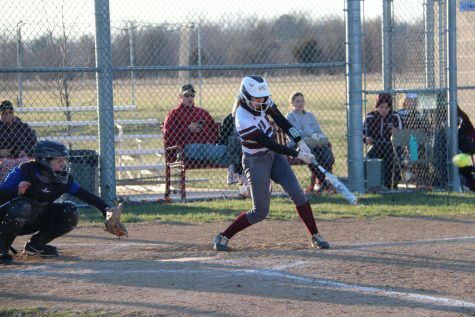 On Monday, April 8, the Red Bud Musketeers traveled to Valmeyer to face the Lady Pirates. The Lady Musketeers started off strong in the first inning by scoring two runs with singles from Stengel and Cowell. They continued to score three more runs in the third inning with a double from Cowell, and singles from Roy, Guebert, and Mollet to get a 5-0 lead. Valmeyer scored one run in the third, but was unable to score again until the seventh where they scored two more runs. Red Bud scored two runs in the sixth and another two in the seventh with singles from Stengel, Cowell, and a double from Roy in the Sixth. In the seventh Guebert started the inning off with a base hit single, followed by another hit from Lucht. Those runs were brought in by a base hit single from Montroy. The Lady Musketeers took their first win of the week with a final score of 9-3. Guebert and Cowell went 3/4; Stengel, Roy, Lucht, and Montroy 2/4; Mollet 1/4. Durbin pitched all 7 innings allowing seven hits, three walks, and had two strikeouts. 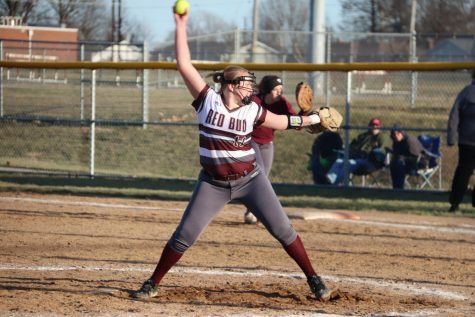 On Wednesday, April 10, Red Bud hit the road and traveled to Wesclin to face the Lady Indians. The Musketeers were unable to rattle their bats in the beginning of the game,which set them back by one run. Stengel scored the first run of the game by getting on with a walk and was brought in by a single from Cowell. The Musketeers were able to score one more run in the sixth inning with a leadoff hit from Todaro, followed by another base hit from Stengel. Unfortunately, this was not enough to take the lead and Wesclin scored three more runs in the sixth, causing the game to end with a final score of 2-4. Schrader pitched 6 innings allowing for seven hits, no walks, and had three strikeouts. Thursday, April 11, the Lady Musketeers faced the New Athens Lady Yellow Jackets at home. Red Bud started scoring in the second inning with a leadoff single from Roy, followed by two more base hits from Allen and Lucht, bringing in two runs. Another run was brought in in the third inning with a double from Cowell. The Yellow Jackets began to score in the third inning with putting one run on the board, and another three in the fourth inning. The Musketeers battled back from that by scoring four more runs in the fourth inning, with an in the park grand slam from Stengel. The Musketeers tacked on two more runs in the sixth inning with a leadoff hit from Mollet, who was brought in by a bunt from Montroy and a base hit from Todaro. New Athens was only able to score one run in the seventh inning, which ended the game with another win from Red Bud with a final score of 9-5. Mollet and Lucht went 1/2; Todaro Stengel Cowell and Guebert 1/3; Roy 1/4. Durbin pitched 7 innings allowing for thirteen hits, three walks, and had three strikeouts. 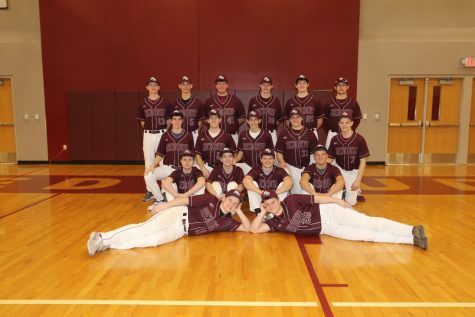 Friday, April 12, the Musketeers had their last game of the week at home against the Waterloo Bulldogs. The Lady Musketeers jumped ahead in the first inning by taking a 1-0 lead with a leadoff hit from Todaro, followed by three hits from Cowell, Roy, and Allen. The Bulldogs began rattling their bats in the third inning and scored a total of eight runs. The Musketeers added three more runs to the board in the fourth inning with hits from Allen and Lucht. Waterloo continued to score in the fifth inning by putting another two runs on the board. 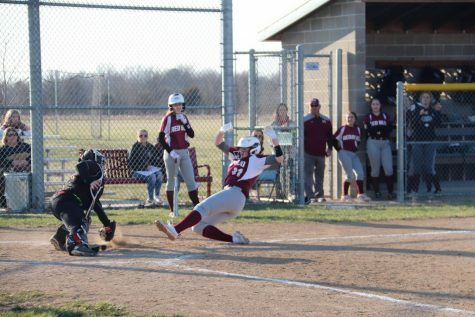 Red Bud continued to battle back by bringing in four more runs with singles from Cowell and Allen, a double from Guebert, and a triple from Lucht. Waterloo scored four more runs in the last two innings and Red Bud was unable to get the lead back, bringing the final score to 8-14. 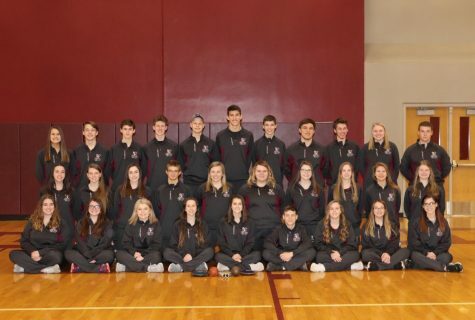 Todaro and Cowell went 3/4; Lucht and Allen 2/4; Guebert and Roy 1/4. Schrader pitched 5 innings allowing twelve hits, one walk, and had four strikeouts. Durbin pitched the other two innings and had one strikeout. She allowed for five hits and no strikeouts. 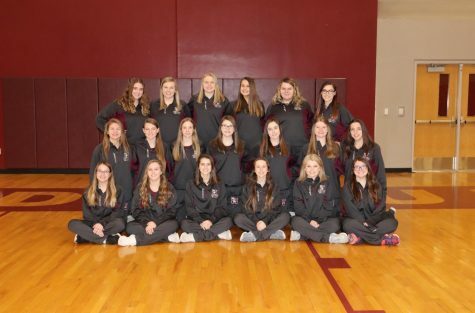 This coming week the Lady Musketeers plan on having a game on Tuesday, April 16 in Marissa, a home game against Colombia Wednesday, and an away game against Steeleville on Thursday.